Below is the first look of the new Skype on Windows Phone 8, coming soon! It’s been an exciting few weeks for the team at Skype. We’ve launched our new fast, easy-to-use and beautiful Skype for Windows 8, and updated Skype for Windows desktop and Skype for Mac to version 6.0. Today we are announcing the soon-to-be available Skype for Windows Phone 8, which features the beautiful and modern design Windows Phone users have come to love while, like Skype for Windows 8, delivering the best of what you’ve come to expect from Skype. Windows Phone 8 has allowed us to bring new, re-sizable Live Tiles to Skype, so you have even more choices for making Skype a part of your Start Screen. On Windows Phone 8, Skype will show a count of your unread messages on all tile sizes – and with the largest size tile we show you a preview of the last message you received. The Live Tiles will help you to stay in touch with your friends and family, faster and easier than ever. To learn more visit Skype’s blog for details here! 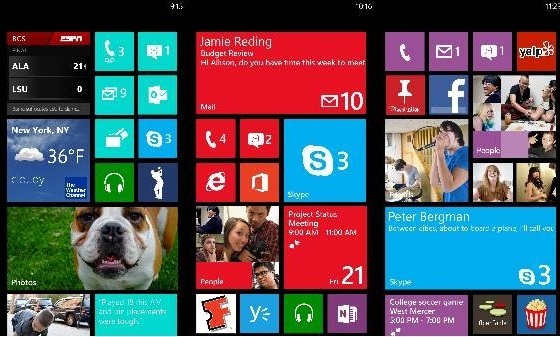 Last revised by: WP7 Connect on October 30, 2012.